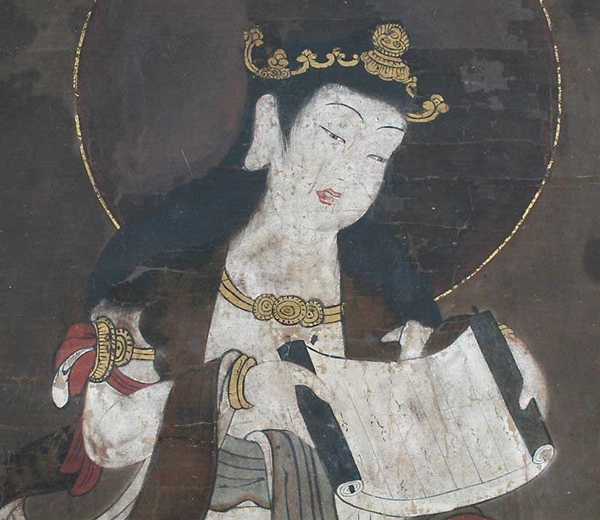 Hanging scroll painting, early Edo period, early 17th century. 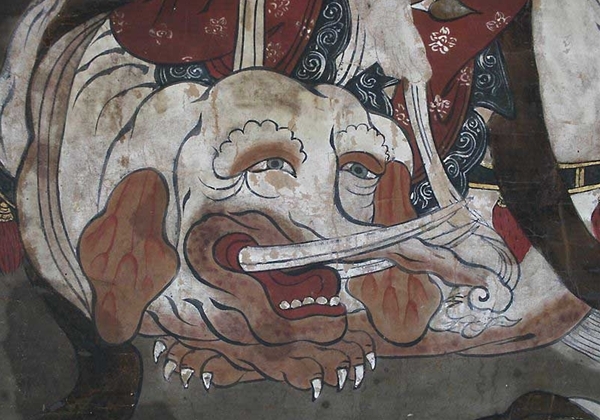 Very rare antique painting of Fugen Bosatsu (Samantabhadra) mount on the white elephant. 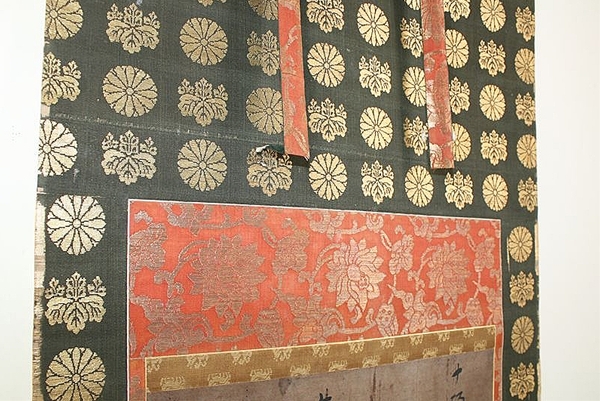 This piece has been mounted on superb silk fabric with pure gold thread embroidery in mid Edo period. 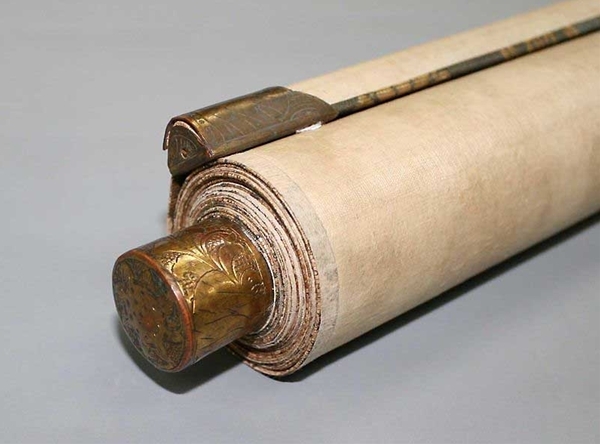 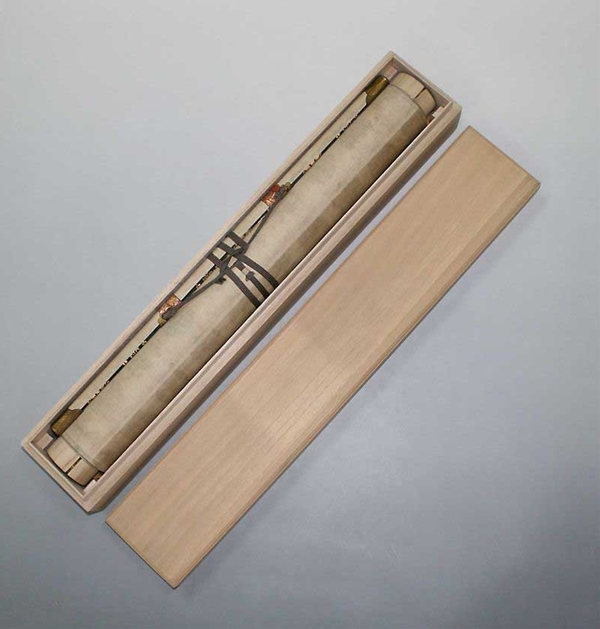 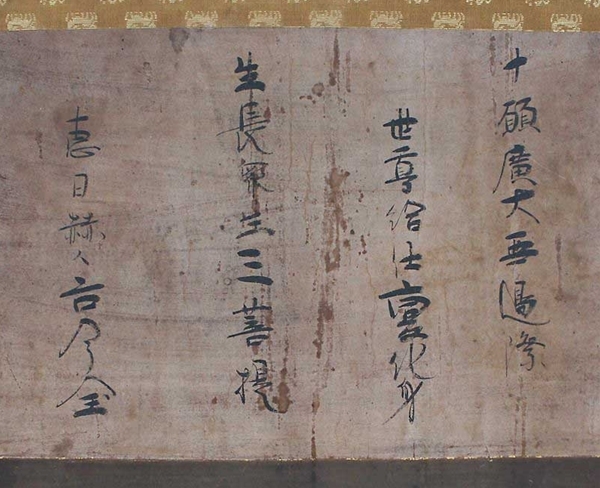 There is an ink brush inscription on the scroll bar, which is covered by the mounting fabric now, stating the date of mounting as well as authenticating the painting in 1732. 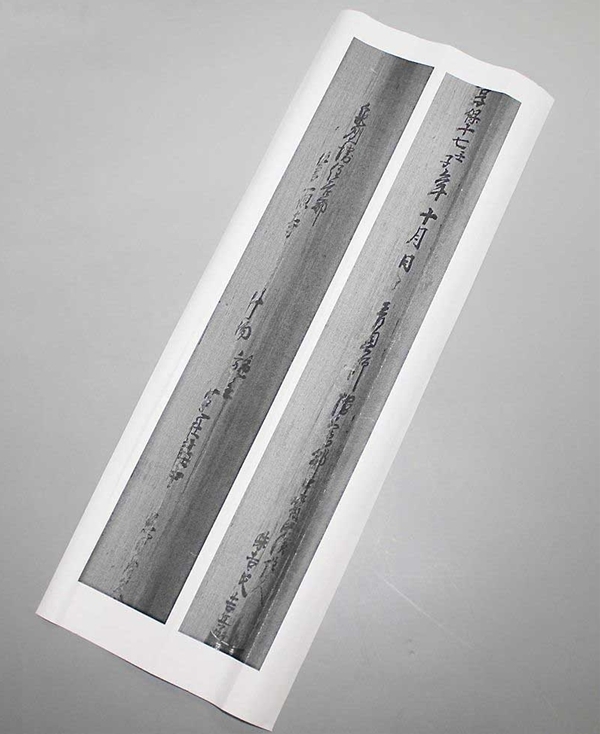 It is in good condition with some stains consistent with age.